Solid and durable in its internal structure, as well as comfortable, the leather Capri armchair is a really prestigious piece of furniture, a real "gem" for any Vintage style furnished room. 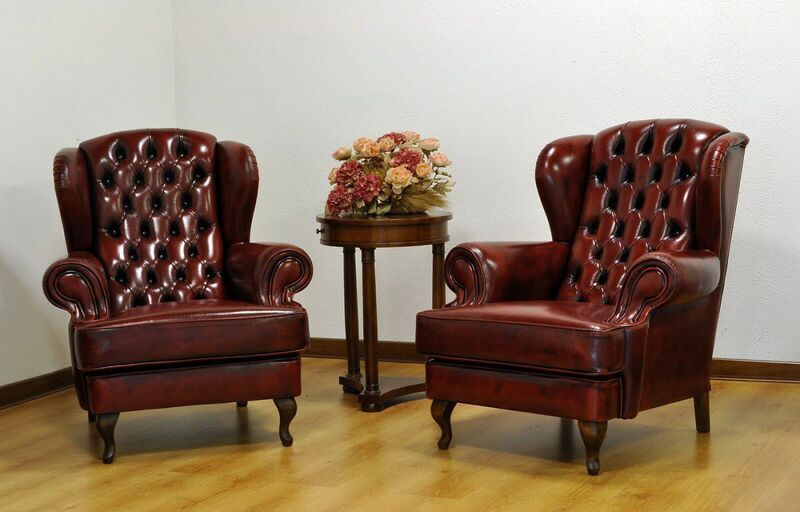 Capri is a classic and really impressive armchair,characterised by a purely classical design, a Leather Bergère armchair embellished by numerous, interesting and stylistic details. 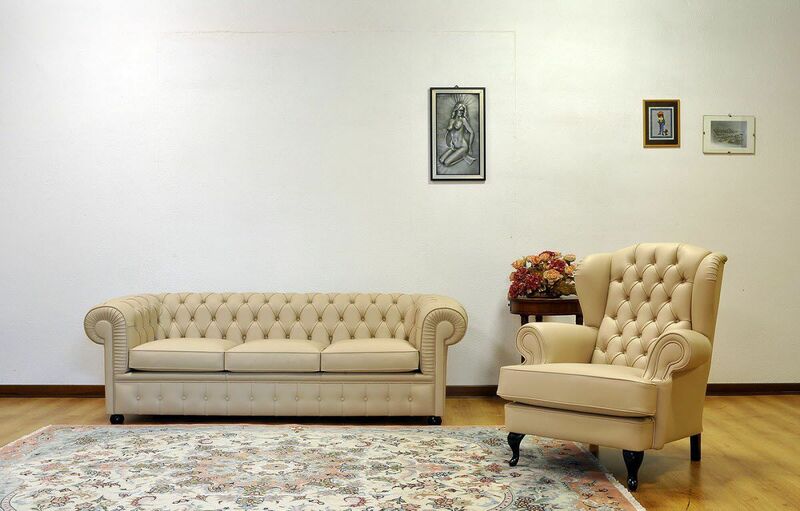 Its back is completely embellished by valuable buttoned details, typical of the Chesterfield sofa; its quite bold arms are decorated with a special curved element with a refined edge, moreover, its seat cushion, with a smooth surface, is particularly thick. 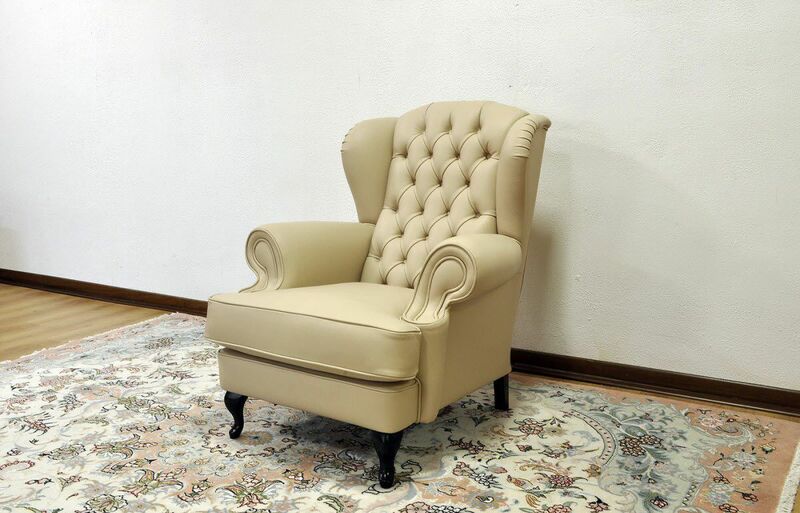 The Capri armchair is a true masterpiece of craftsmanship, which represents a real value in classic living rooms and in any Vintage style furnished space. 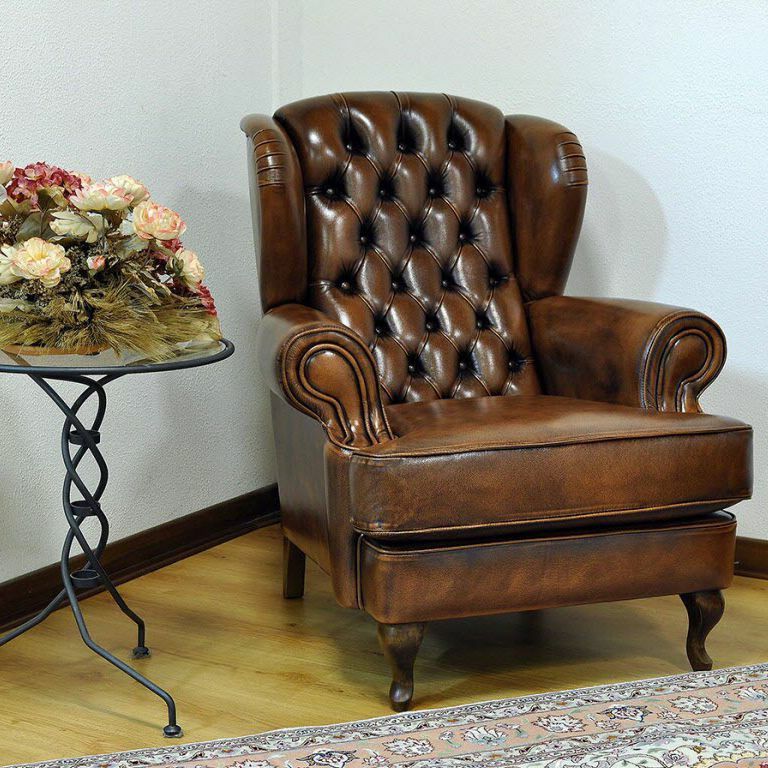 The internal structure in solid fir wood ensures strength and toughness, and thanks to the soft polyurethane foam used for its padding and to the suspension elastic straps, this leather bergère armchair provides a great level of comfort and convenience. 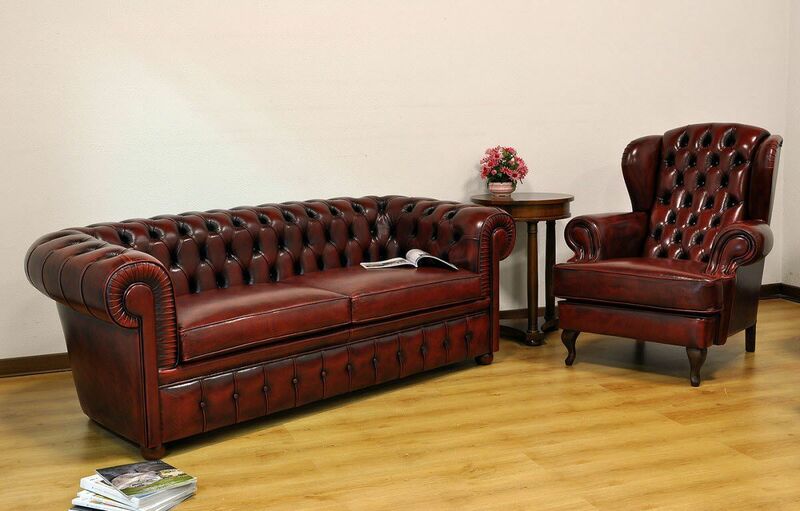 Absolutely perfect to be matched, in a living room, with a Chesterfield sofa.